Well-proven pump decoupling set, now available completely in black color. 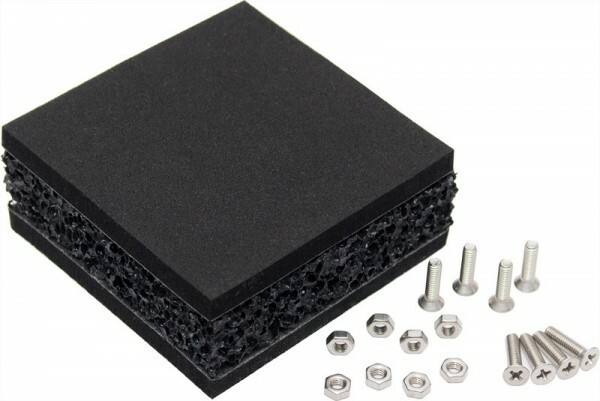 The black foam rubber is coated with an adhesive on one side. After removing the protective foil the Shoggy Sandwich can be put together without further adhesives.